“She used to come here to do her shopping. And to get her hair done. I had no idea that this doyenne of the drawing-room mystery had first traveled out to Iraq, alone, by train, as a thirty-something single mother. And that thereafter she’d spent thirty winter seasons living in testing conditions 3,000 miles from home, in a land of Kurds, Armenians and Palestinians, doling out laxatives to help the sheikh’s wives with their constipation. The result is this book which mixes part travelogue, part history and part biography. Eames sets out from London to retrace Agatha Christie’s journey. 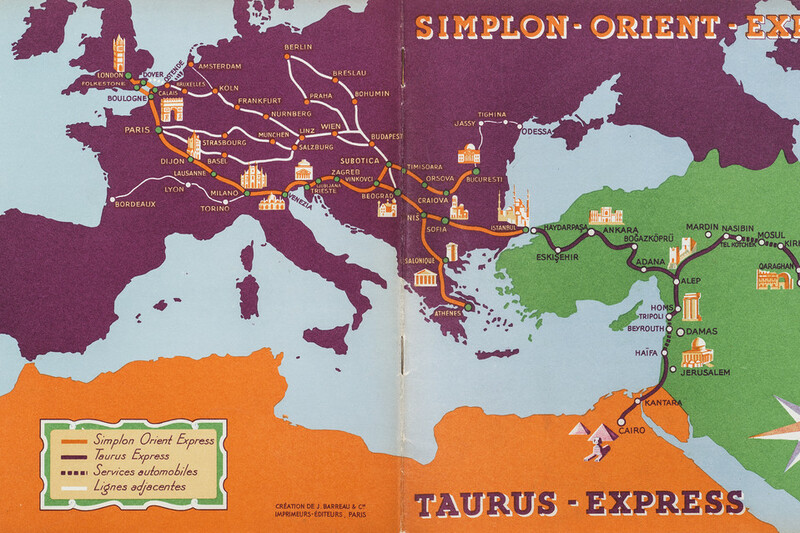 He travels on the Orient Express across Europe from London to Venice. He continues by train through the Balkans, across Turkey and through Syria to Damascus where the train line ends. The onward journey to Baghdad in Christie’s day and when Eames repeated the journey was by bus across the desert. This was the only way to avoid the time consuming trip through the Suez canal and around the Arabian peninsula. 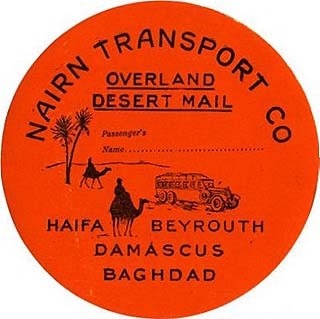 When Christie made the journey, she travelled by ‘Nairn bus’ named after the New Zealand Nairn brothers who stayed on in the Middle East after the First World War to form a successful company that revolutionised transport between Damascus and Baghdad for 30 years. By the time Christie made the journey, the cross desert service had only been running for a few years and had reduced the journey time to just 20 hours (for more on the Nairn brothers and their company see here and here). Eames then continues on to Iraq’s archaeological sites and eventually to Ur where Agatha Christie met her second husband, Max Mallowan. If, like me, you know little of Agatha Christie’s life, this book is an interesting introduction to certain aspects of it,and particularly her divorce and second marriage. Eames succeeds in re-creating an aura of by gone travel and those aspects will appeal to anyone with an interest in travel between the wars. He is a pleasant enough travelling companion bringing his travelling companions and the places he visits to life with a wry sense of humour. He characterises his adventure as a journey back to sources; the source of Christie’s second marriage and from modern Europe to Ur, the site of one of the earliest known cities and to the confluence of the Tigris and Euphrates. Reading this book not only reminds us how much as changed since Agatha Christie made her journey. It is also a reminder of how much has changed since Eames made his journey and how quickly those changes can take place. At the end of his book he realises that his “interest in Agatha and her crips pieces of fiction had finally been overhauled by a far bigger story”, the 2003 invasion of Iraq, which began three months after his trip ended. His sadness at recalling Lt Col Tim Collins’ entreaty to his troops to “tread lightly” is now compounded by the knowledge that other places in his adventure, Damascus, Aleppo and Palmyra, have now also been ravaged by conflict. Sadly, it is commonplace to read travel books and reflect on how travel to the place has changed since they were written, perhaps because of political changes or dangers; it is a truism of travel that as some places become safe to visit others become less so. But it is particularly tragic when these changes involve such loss of life and the wanton destruction of sites which have survived the centuries. Read reviews of The 8.55 to Baghdad from the Independent, here, the Telegraph, here and the Chicago Tribune, here. One of the UK’s top travel writers, Andrew Eames website is here. It contains links to some of his published work. Its sections ‘blog’ and ‘mags and rags’ also give an insight into the life of a travel writer and some interesting reflections on the publishing industry.